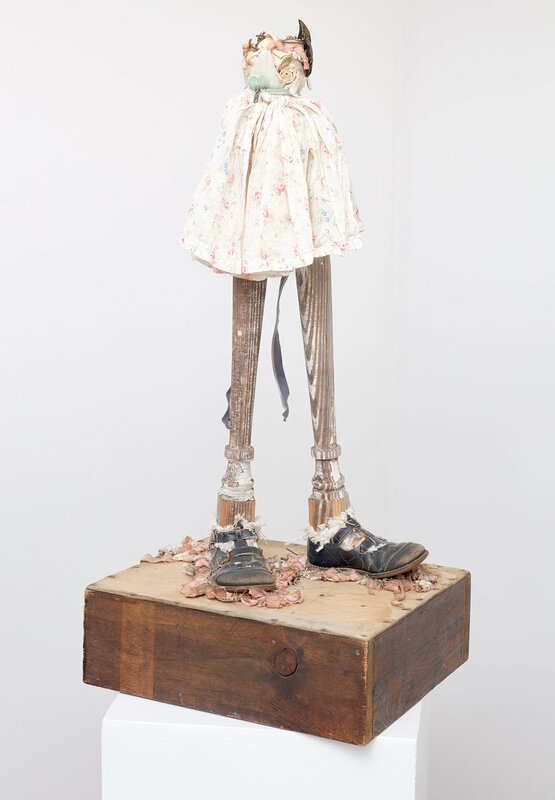 Equity Gallery is pleased to announce FemiNest, a group exhibition featuring the works of Natalie Frank, Karen Lee Williams, Michele Oka Doner, Barbara Segal, Page Turner and Vadis Turner. The exhibition will be on view from February 24 through March 25, 2017, with a public opening reception on February 24, 6-8pm. In celebration of Women’s History Month, FemiNest advocates and explores new spaces and places for women in the home, society, culture and politics. 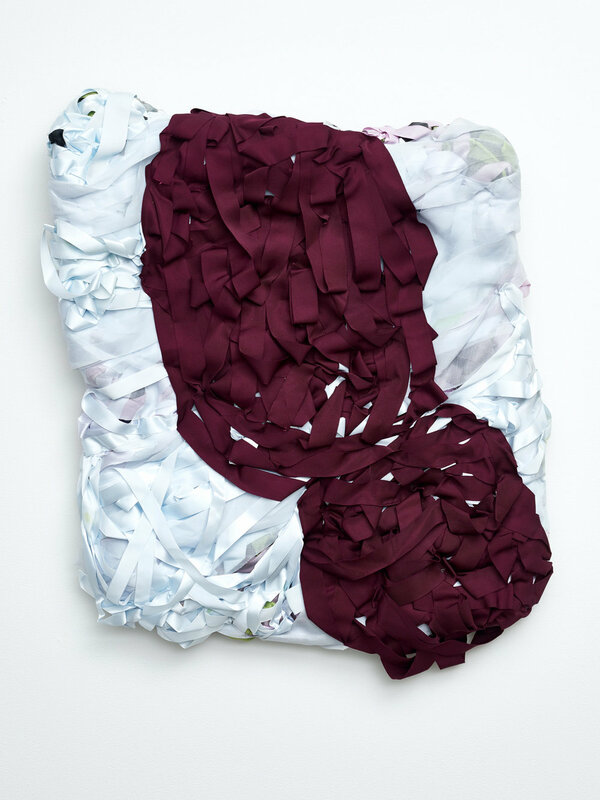 Through a variety of mediums, each artist investigates the concept of a nest – both figuratively and abstractly. 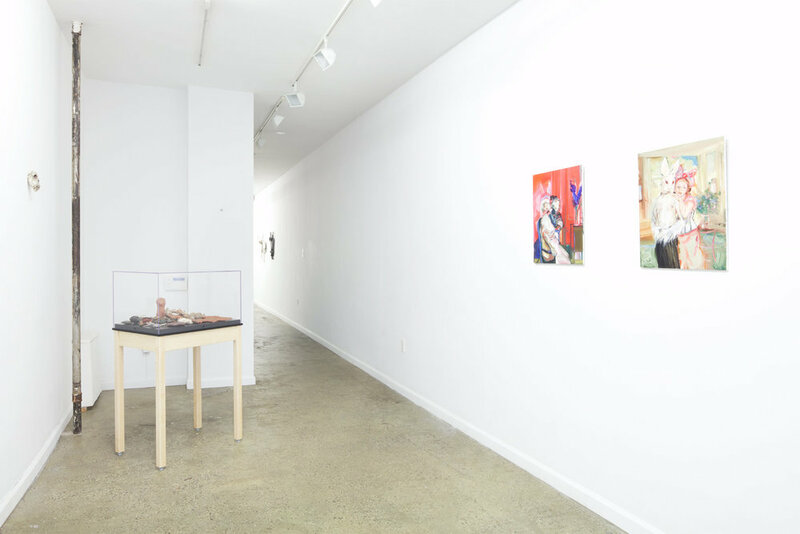 Themes include gender-specific production and consumption, physical and emotional protection, spirituality, social behaviors inside and out of the domestic landscape, and the void in which cultural palimpsests continue to rewrite history. 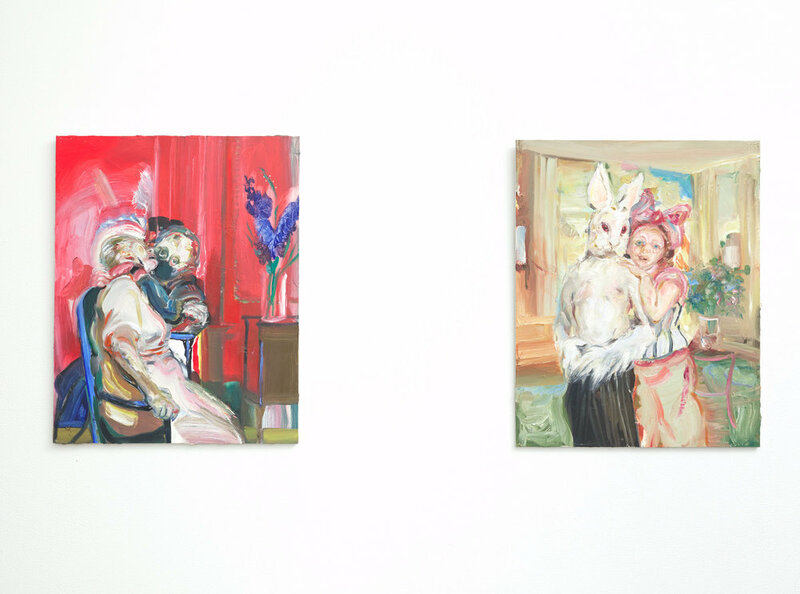 Natalie Frank addresses social and sexual enactments of power, primarily using the female form. Through unabashed brushstrokes and slashes of vibrant color, Frank’s surrealistic dreamscapes disrupt the sacred space of the home and psyche, alluding to the cracked lens through which we view feminism, gender and equality. 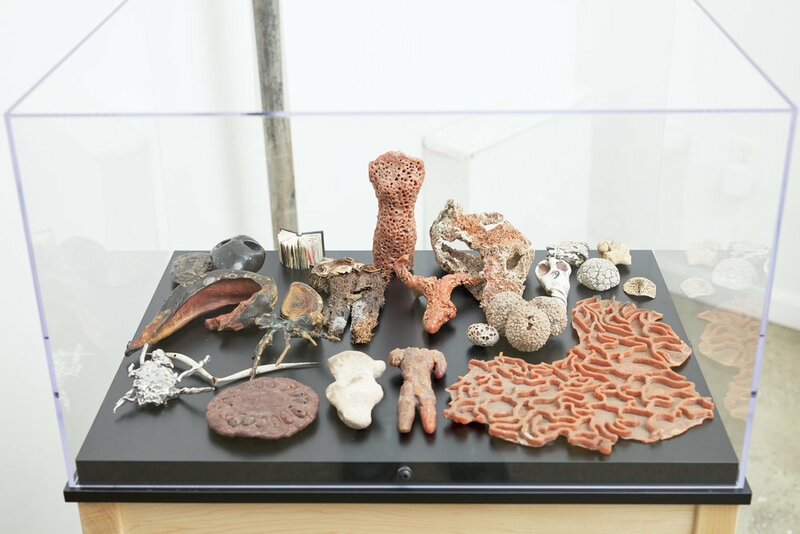 Working mostly in sculpture and photography, Karen Lee Williams explores the space where logic and intuition press up against each other. In her new series “Maws”, Lee Williams draws upon ideas of a greedy, gaping hole in our cultural landscape after the 2016 Presidential Election. Soft, yet burdened and warped, these sculptural portals are both a representation and reclamation of that void and power. 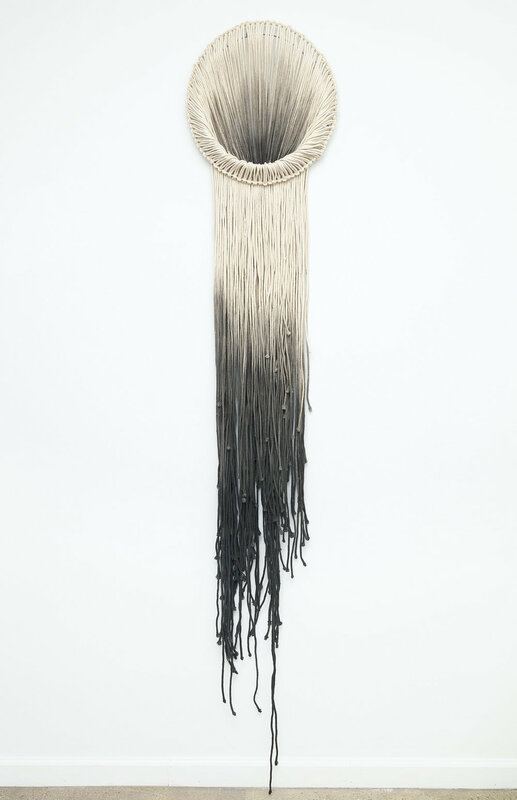 Michele Oka Doner’s work is fueled by a lifelong study and appreciation of the natural world. 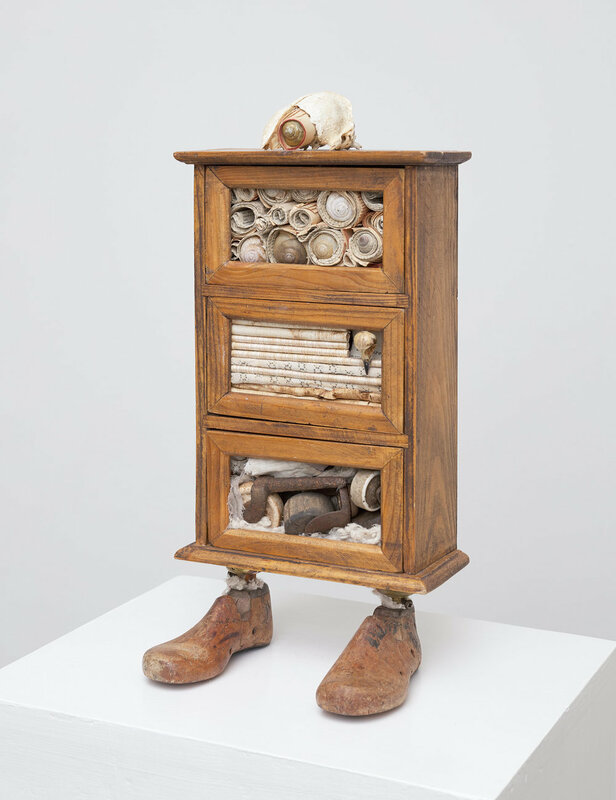 Spanning a career of over five decades, the breadth of her artistic production encompasses sculpture, furniture, jewelry, public art, functional objects, video, artist books and costume and set design. 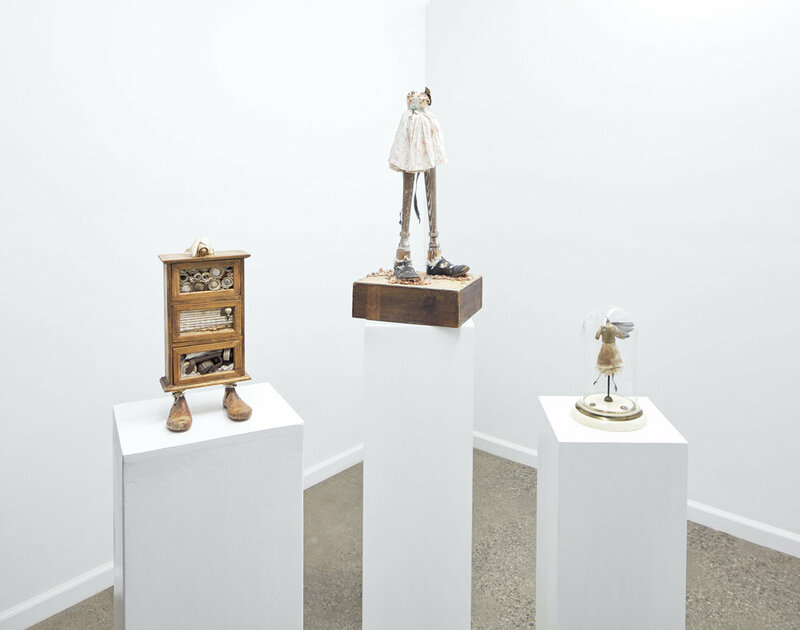 A firm believer that “She is everywhere” – the concept of women being omnipresent despite glass ceilings and institutional limitations – Oka Doner’s bronze objects and porcelain dolls serve as protectors of the divine feminine. For 40 years, celebrated sculptor and master stone carver Barbara Segal has been creating pop and fashion icons in rare and exquisite stones. With a keen eye for Renaissance and Baroque masterpieces, Segal explores society's long-standing obsession with status symbols, conspicuous consumption and declarations of power. “Black Swan” – with its slick, black marble surface and tantalizing form – both embraces and emphasizes society’s ideals of female sexuality. 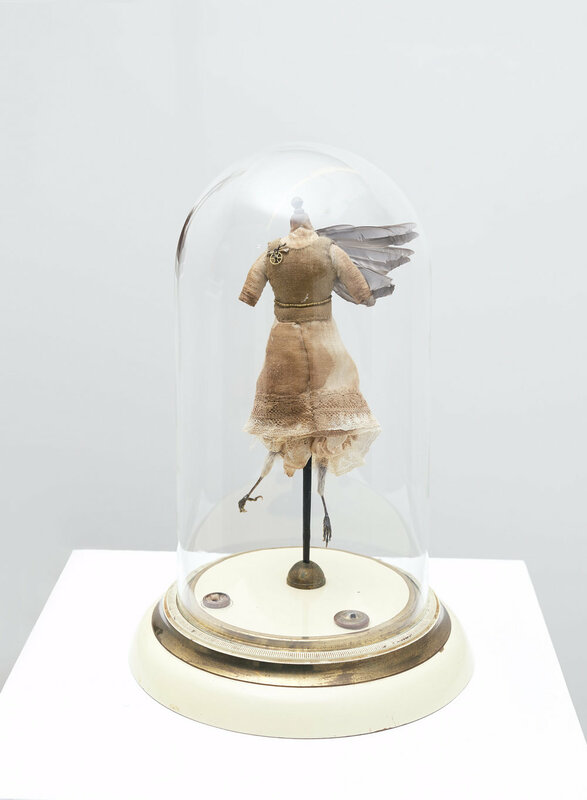 Page Turner collects items of deep personal meaning to create delicate objects that honor the feminine, as well as the desires, experiences and roles of women. 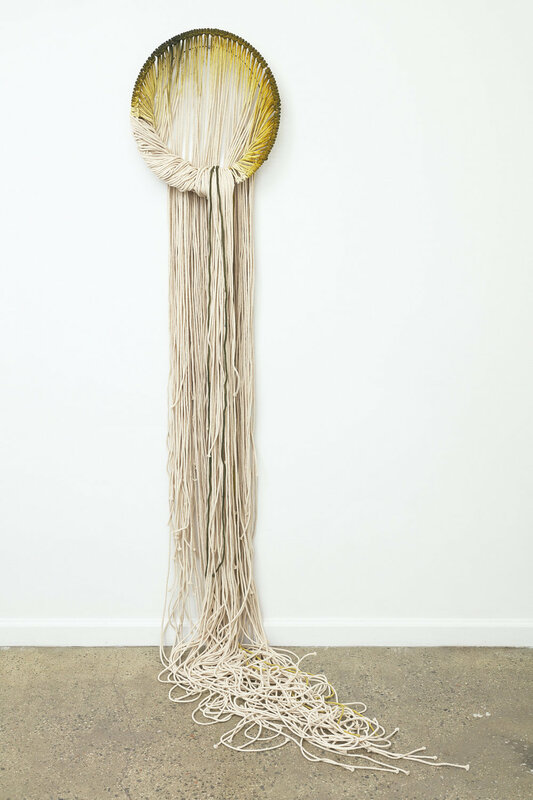 Using found objects like furniture, wood, wheels, shells, fabric and bone, her sculptural works are informed by traditional hand-working skills that have been passed down through generations, and are bolstered by spiritual aspects of Mormon Thought and Sisterhood. Vadis Turner synthesizes the practice of painting with repurposed textiles. Using colorful skeins of upcycled ribbon, clothing and fabric, her unconventional paintings engage gender roles and handicrafts in a contemporary context. 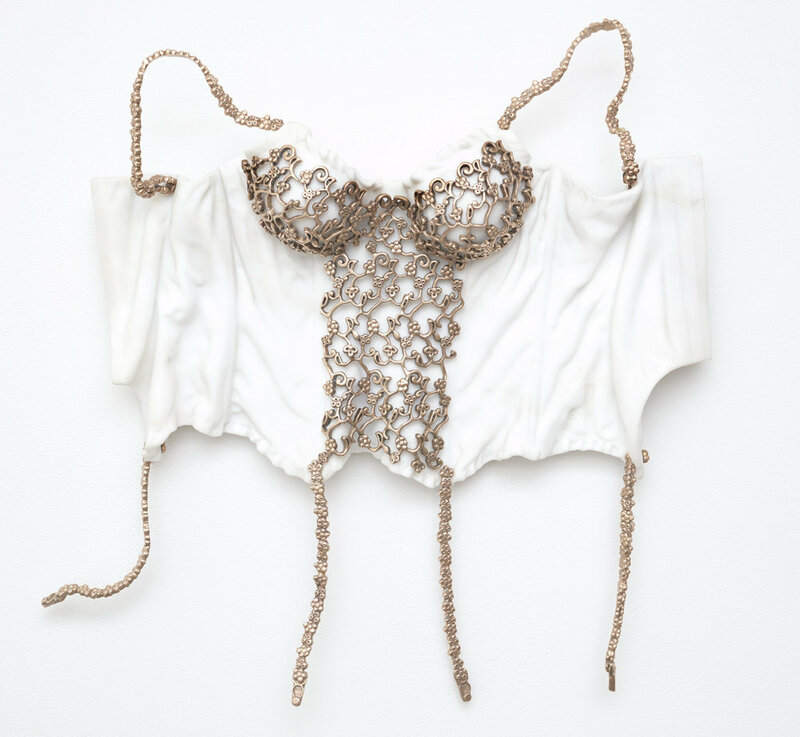 Through “domestic” techniques like sewing and tying, Turner tightens her focus on contemporary feminism by weaving in narratives of motherhood, heirlooms and rebirth into her sculptural compositions. 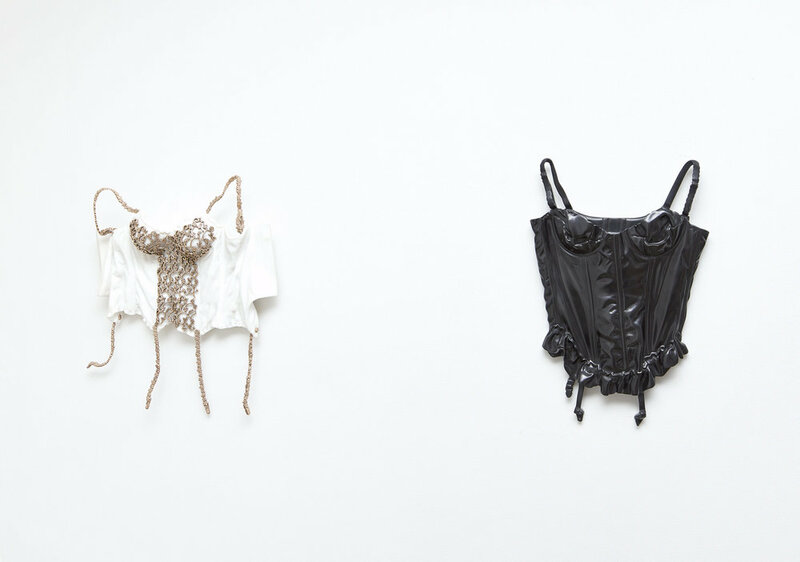 With a shared emphasis on materiality, culture and history, each of the artists contributes an important component to the contemporary nest; one that has been manufactured and assembled by 21st century women.